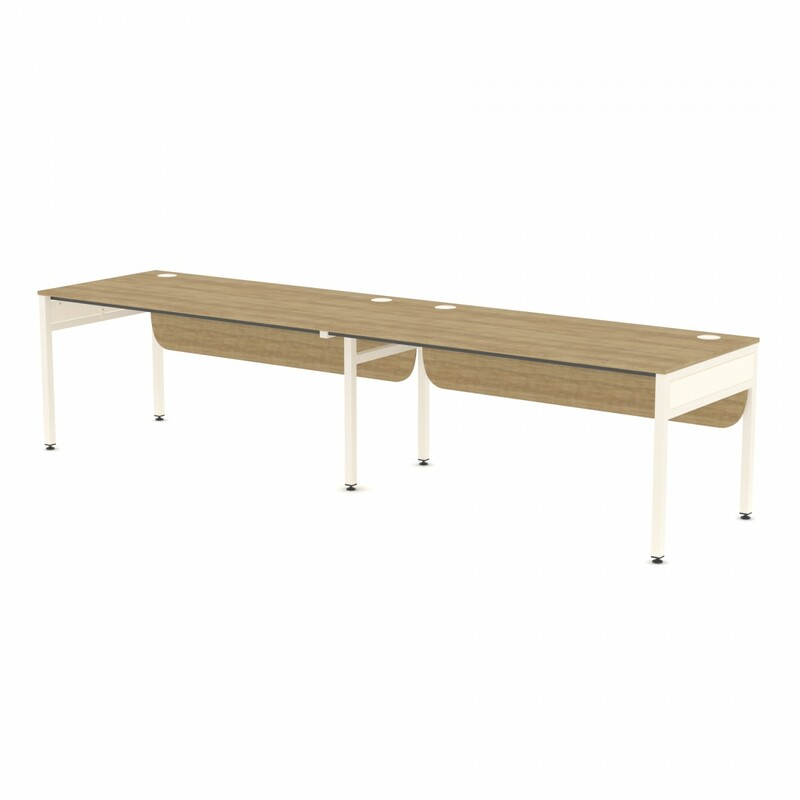 Libra set of two linear desks (side-by-side). Ideal for open plan environments, the Libra desk is modular and scalable to grow and adapt with business needs. Easy to install in busy commercial workspaces, Libra delivers a balance of robust build quality at an affordable price. 18mm top made from grade E1 melamine faced high density particle board. Choice of white or silver goalpost frame.